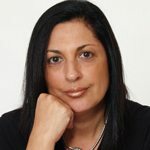 Roya Kravetz is a credentialed Life Coach through International Coach Federation (ICF), Global Board Certified Coach (BCC) and Certified Parent Instructor (CPE) through The International Network for Children and Families (INCAF). 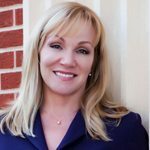 She specializes in educating and coaching parents of children, teens, and adults whose lives are affected by AD/HD or similar behavioral and/or organizational challenges. 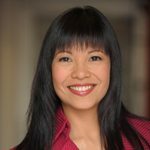 She has combined her professional skills with her broad cultural background to build a highly specialized national and international coaching practice based in Carmel Valley (San Diego), California. She is also an instructor at MiraCosta College Community Services. Prior to launching her coaching and parent education practice, Roya was the co-founder and director of an AD/HD specialty clinic in Carmel Valley where she also facilitated groups for parents of children and teens who were diagnosed with AD/HD. Roya is the co-author of 365 ways to succeed with ADHD book which was released in 2011 and 365 +1 ways to succeed with ADHD which will be released in the fall of 2012. 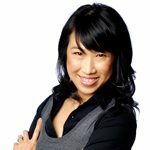 Sherlyn Pang Luedtke, Success Coach and the Founder of Present Parent Training, is a results-oriented, fun-loving businesswoman, and family gal. Her upcoming book, The Mommy Advantage: How Having Kids Can Make You Happier, Healthier, and Wealthier, teaches parents how to use personal development techniques to alchemize the challenges of parenthood into joy, ease, fulfillment, and abundance. Eight years ago, Sherlyn made her devastating yet rewarding leap from full-time career to full-time mom. When her son was two, her stern parenting paradigm was overturned when she discovered the cost of controlling behavior with coercion. She now teaches parents to leverage their mental, emotional, spiritual, and physical presence to foster deeper relationships with their children and further their own personal growth. She uses her background in psychology, social ecology, and business to support her clients in fulfilling their dreams with balance. She is a devoted wife and mother of two, a successful entrepreneur, dynamic parent educator, and insightful coach. Deborah King is President of Final Touch Finishing School – the premier finishing school in the United States – which she founded in Seattle, Washington in 1989. Her passion is to equip people from all walks of life with the necessary skills to move confidently from the informal to the formal with ease and grace. She teaches how to evaluate each social and business circumstance, as well as how to respond with appropriate poise and manners based on a variety of cultural considerations. In 2010 she co-founded Global Protocol, Etiquette & Civility Academy in Dallas, Texas. Deborah serves as a board member for the Image Consultants’ Society International (ICSI) serving the Indian Sub-Continent and Middle East; as a Founding Director for the Institute of Image Training and Testing International (IITTI); and as a Founding Member for the Association of Image Consultants International (AICI) Civility Counts Project. Deborah has been awarded the AICI Chapter Member of the Year 2009, AICI Civility Star Award 2010 & 2011, the NAPW Executive and Professional Woman of the Year 2010/2011 and Highline Community College’s Distinguished Alumnus Award 2010. Deborah is a published author on civility and etiquette. In addition to her Civility Chat blog she writes a monthly column for Wise Family in North Texas and is a co-author for Image Power, Executive Etiquette Power, and The Power of Civility. Her Etiquette and Portion Plate and book are included in the Johns Hopkins Civility Archives, and her Etiquette Flash Cards won the Gold Mom’s Choice Award. Her popular Young Ladies & Gentlemen children’s program is now available as an interactive online course. Deborah serves as a reliable resource to the media and travels extensively both domestically and internationally, teaching her principles of etiquette and poise to individuals aged five to seventy-five. She has served as a consultant to Meadowood Napa Valley since 2003 and has presented programs for public and private schools, churches, associations, and a host of companies. Hailed as the “Queen of Etiquette & Civility”, Deborah’s warm teaching style is based on the simplicity of kindness and respect for self, others and property. Her classes instill a greater sense of potential and increased confidence for all who attend. A native of Seattle, she currently lives near Dallas, Texas. 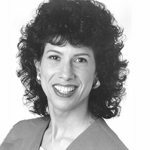 Mitzi Weinman is a dynamic, passionate speaker who inspires her audiences to re-evaluate their approach to work and life and take actions resulting in a positive impact each and every day. Her extensive experience in coaching and training comes through clearly in each topic. Mitzi speaks on a range of subjects including: Time & Productivity, Projecting an Organized Image, Building a Balanced Routine to Reduce Stress and Clutter; and so on. Mitzi realized that the work that she does with managers, executives and entrepreneurs, transcends to students. The daily struggles that students and parents have with homework, school projects and over scheduling has led Mitzi to offer programs and coaching to students from elementary and up and parents. Many of Mitzi’s tips and techniques appear regularly in many publications and on TV, including Fox 25 News, Martha Stewart Living Radio: “Making a Living with Maggie” on Sirius & XM Satellite Radio, Investor’s Business Daily, Boston Business Journal, American Way (American Airlines in-flight magazine), Woman’s Day, Marie Claire, Redbook, Bj’s Journal, Mass High Tech and more. Mitzi also publishes her own E-Newsletter, OnTime. Mitzi received for B.S. from Syracuse University from the Newhouse School of Public Communications and lives in Needham, MA with her husband, son and dog. Dr Yvonne Sum CSP transforms leaders of tomorrow today. Having been a dentist, RAAF officer, executive coach, leadership facilitator & speaker, author, business partner, wife and mother of two, Yvonne has first-hand experience transcending changes across various contexts. Yvonne consistently provokes senior business leaders to ‘lose their minds and come to their senses’ by integrating their leadership lessons at home successfully back into the work tribe in Australia, USA and Asia-Pacific. She has presented alongside Edward deBono, Howard Gardner, Tony Buzan, David Perkins, Glenn Capelli and Colin James. Start Kidding Yourself – Learning Leadership from your Home Tribe is her first solo book due out in July 2012 by Random House. Her other resources include The 7Rs of Parenting eCourse, Intentional Parenting eBook, Intentional Parenting Coaching Program and contributor to edited book Inspired Children- How Leading Minds Raise their Kids. Shirin Sherkat, Psy.D. is on a mission to honor children and empower parents around the world with proven, powerful, and simple parenting strategies that reduce struggles and add more joy for every member of the family. The author & founder of Create Happy Kids, Dr. Sherkat is known as “the child whisperer” by many happy families who value her gift to see their child’s perspective as they use her methods to bring harmony to their formerly conflicted families. She teaches Preventive Strategies at her parenting workshops and is an engaging and powerful keynote speaker at conferences and conventions. 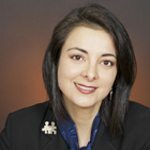 Dr. Sherkat grew up in Vancouver, Canada, earned a Bachelor of Science degree in psychology from the University of Washington and later earned a Doctorate in clinical psychology at the California School of Professional Psychology in San Diego. She resides in Kirkland, Washington.